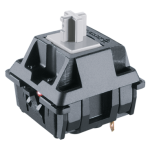 Pros: Solid build, extremely pleasant to type on. Cons: Not as pictured. 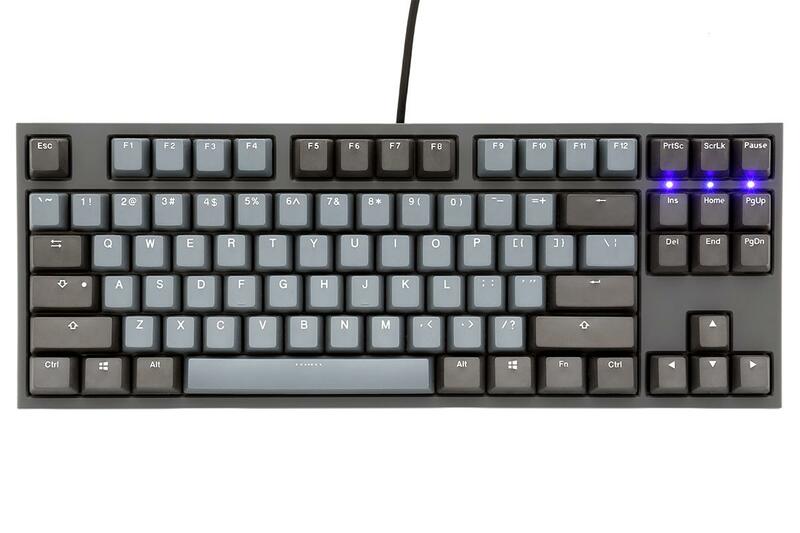 In real life, the accent keys are nearly the same color as the other ones, and don't look distinct like they do in the pictures. I'm pretty disappointed by that after waiting more than three weeks. Got this board with mx reds. The build is extremely solid. The texturing on the keys and depressing the switches both have a very satisfying feel. The keyboard has been excellent for both gaming and typing. 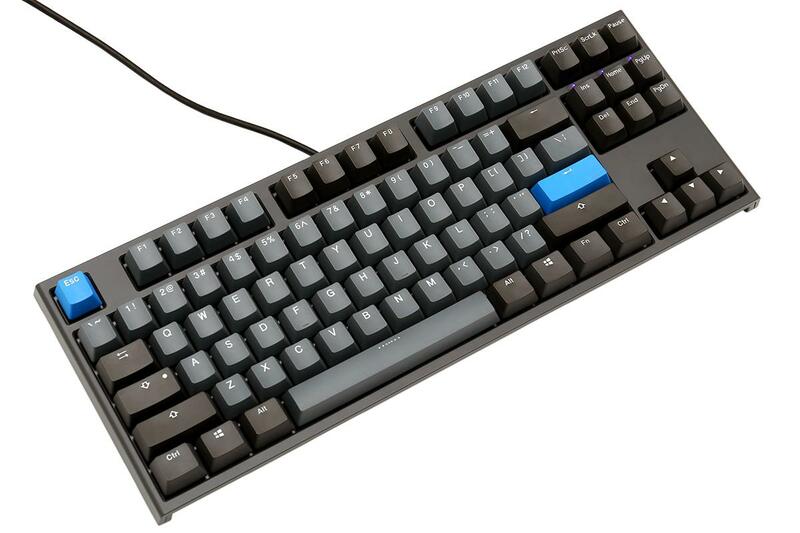 Coming from a Shine 6 wanting a TKL, I decided to buy this board. 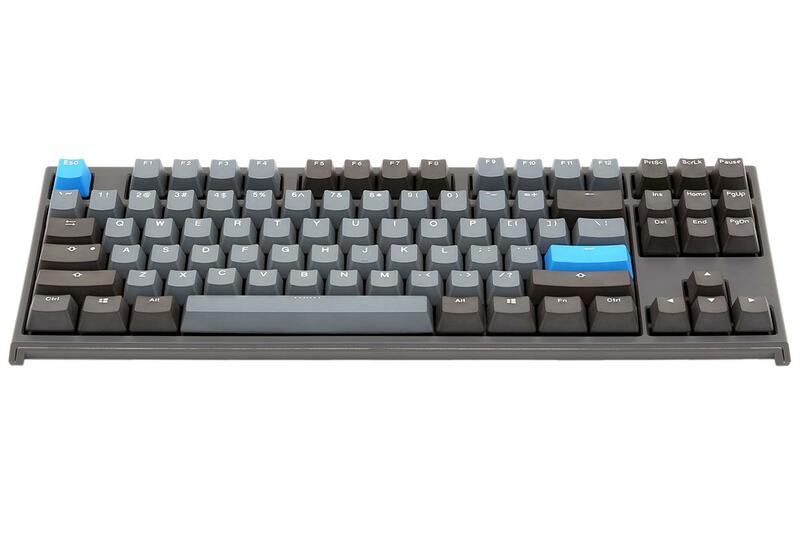 Not a fan of Ducky's two-tone coloring style they're going with on their Shine 7 models and the Ducky One 2, but this dark gray & black seemed alright. 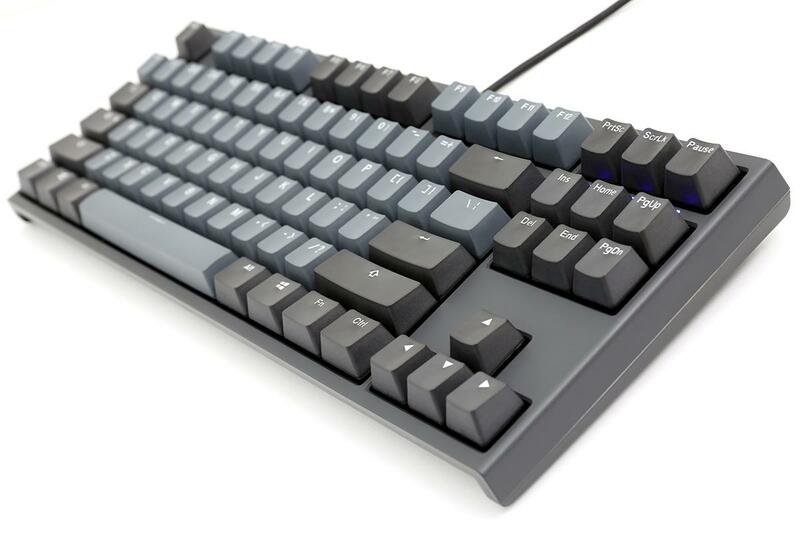 With Leopold / Varmilo basically always OOS, and Filco coming with awful ABS keycaps, I decided to give Ducky's TKL One 2 series a shot. 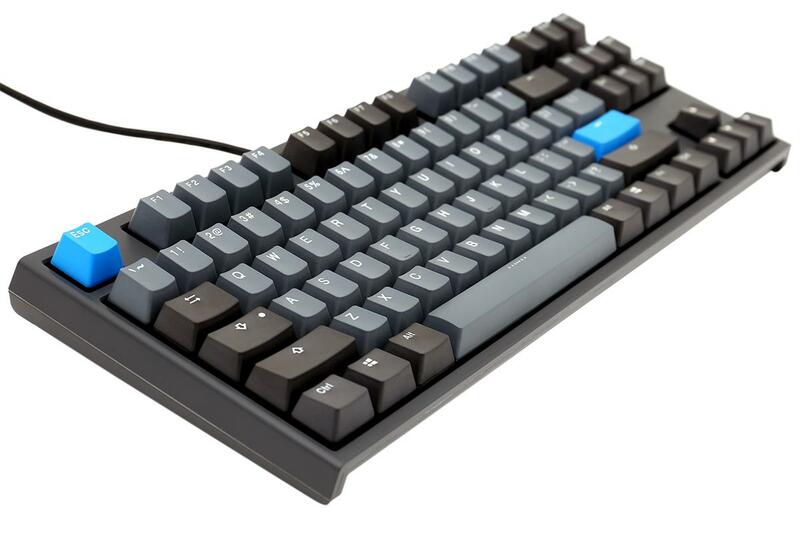 This is a solid keyboard. Was worried the quality wouldn't be that great since this isn't the Shine series, but it actually doesn't creak or bend or anything. I'd actually say it feels more solid than my Shine 6 did. Feels incredibly sturdy. 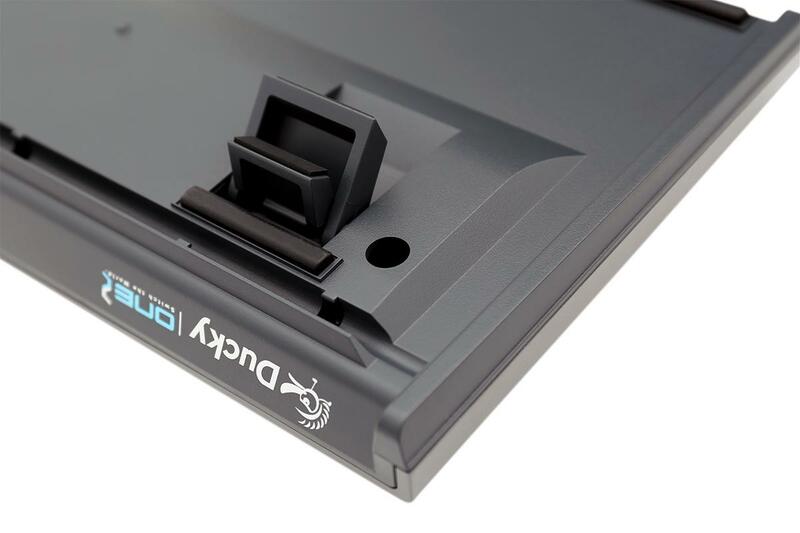 My only complaint would be the keycaps. As you can see from the picture, the caps lock has this unnecessary dot on it. The dot on the caps lock is an indication Ducky is using their old keycaps for this keyboard. 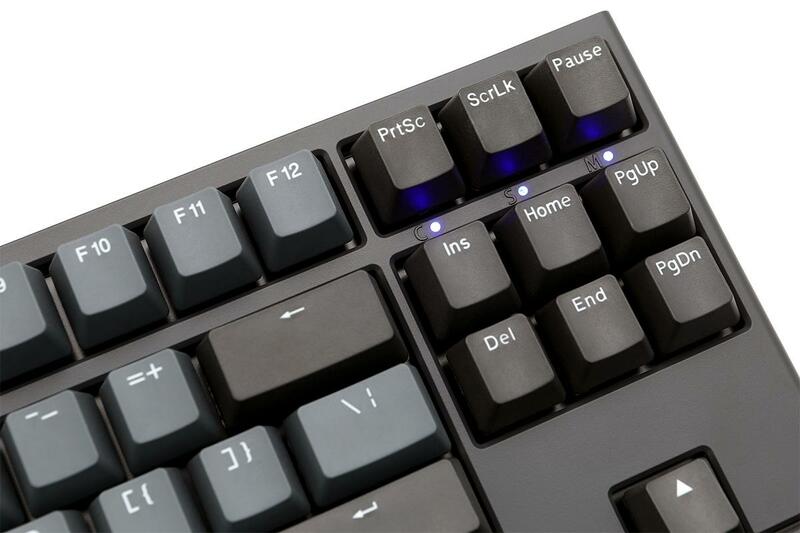 It is meant for the Shine series to indicate that the caps lock button is pressed, however, since there are no LED's on this keyboard, it is pointless. I wish Ducky would've used their newer PBT caps on this board as they seem to be much better. However, I like the keyboard itself so much that it doesn't really bother me. 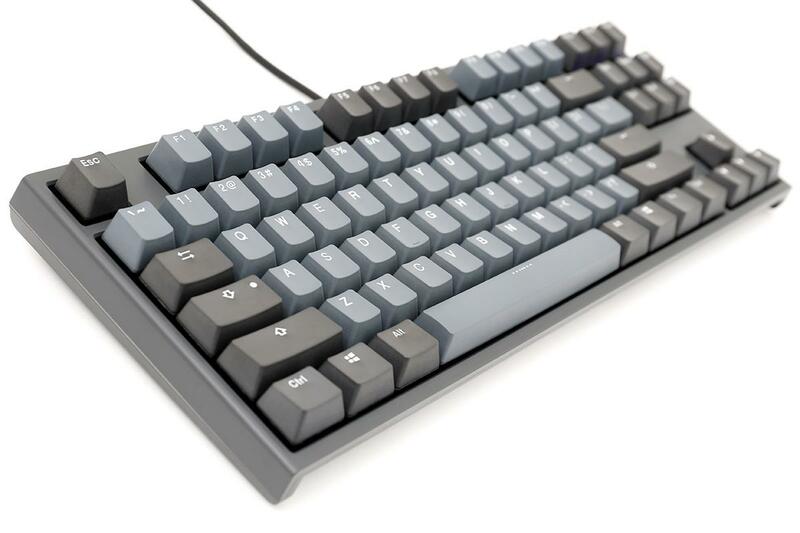 If I could somehow get my hands on a "dot-free" caps-lock key in this dark gray color I'd give the board a 5/5. For $100, you can't really go wrong here. I also can't hear any pinging coming from this board, which is a major plus. 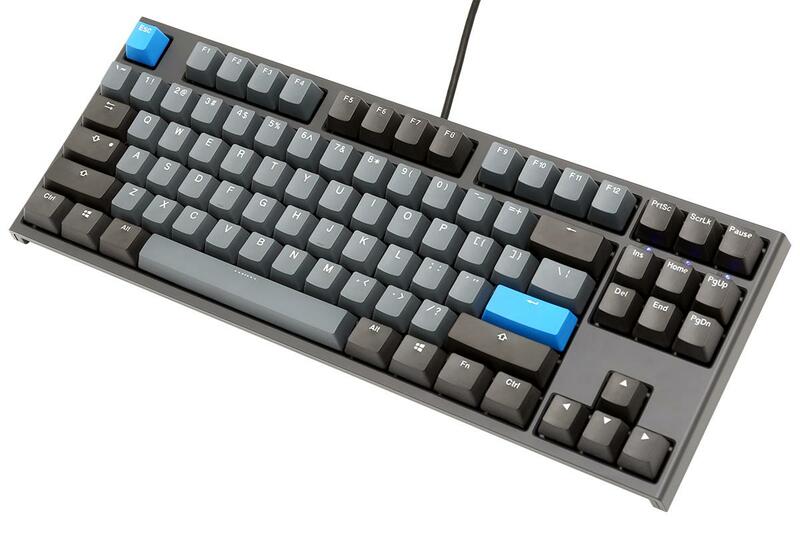 If Ducky were to make a TKL Shine series, it would be my dream keyboard. For now, however, this One 2 Skyline is a sleek, professional looking TKL board that doesn't disappoint.